The Hometown Showcase and R+L Carriers were proud to be the official transportation provider for The Munford High School Band and their march to Pasadena, California. We first met the Munford High School marching band in September of 2018 when the Hometown Showcase took a trip to Munford High School. It was here that members of the R+L Carriers Hometown Showcase team shared exciting careers in transportation and logistics with Munford students, and the possibility of being the official transportation provider for the Munford Band was first discussed. Hundreds of bands from around the country apply to perform in the parade and the application process is in-depth. Through much communication and careful planning, our discussions soon became reality. Transportation for the equipment and uniforms was covered by R+L Carriers, but the students and their fans traveled by plane to California. As if there wasn’t enough stress involved in getting over 200 band members, their equipment, and their fans ready to play an event over 1900 miles from home, Mother Nature delivered some inclement weather and half the band ended up getting stuck at a Texas airport. 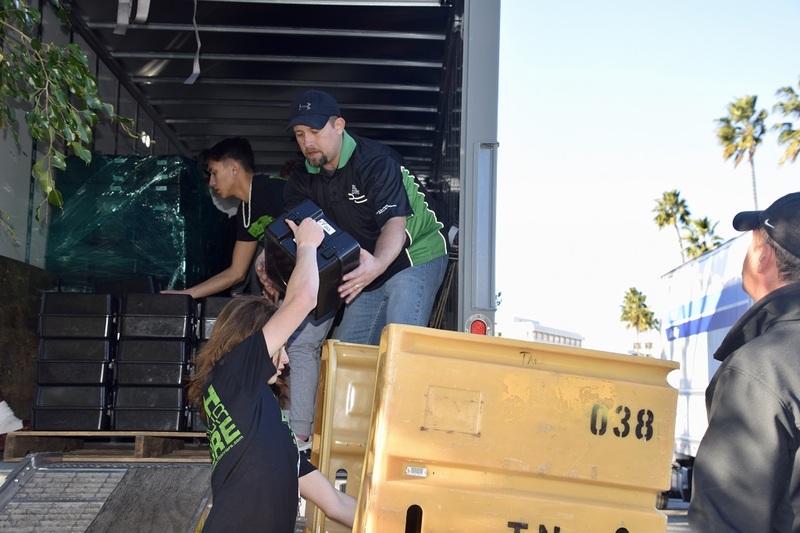 Thankfully, a little December storm couldn’t keep this band from making it to the Rose Bowl Parade in time! 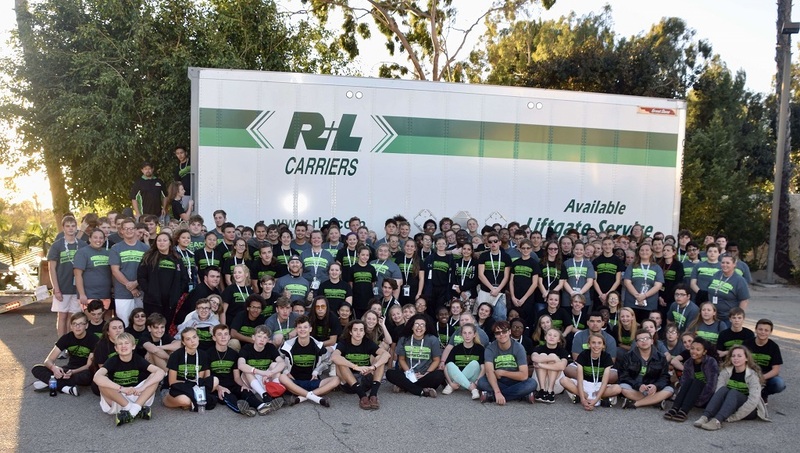 Transportation for the equipment and uniforms was covered by R+L Carriers. On New Year’s Day, the entire band and all their equipment had arrived safely and they were ready to march, but there was one more unexpected event! Toward the end of the parade, the Rose Bowl float directly in front of the band started to smoke and quickly caught on fire! Although no one was hurt, emergency vehicles were called in and the extra time needed to clear the disabled float nearly kept Munford from being in the televised broadcast. As the saying goes, “All’s well that ends well.” At the very end of the broadcast, the Munford Band took to the streets of Pasadena for the 2019 Rose Bowl Parade. We know there were plenty of parents, grandparents, band supporters and friends breathing a sigh of relief when their band finally appeared. Congratulations to the Munford High School Marching Band on a job well done and thank you for allowing the R+L Carriers’ Hometown Showcase, to be a part of this exciting event! If you are interested in the Hometown Showcase coming to your school to talk about career opportunities in transportation and logistics, contact us today!